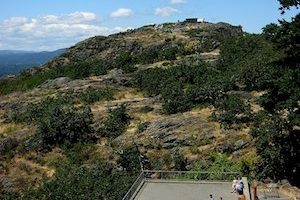 Running in Victoria, BC. 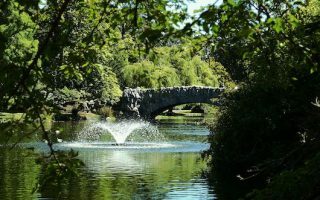 Best routes and places to run in Victoria. 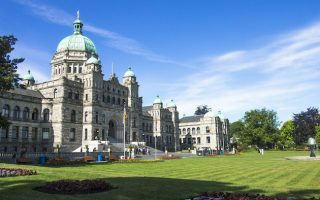 Capital of British Columbia and its second-largest city, Victoria’s pretty setting and mild climate makes it a treat for any runner. 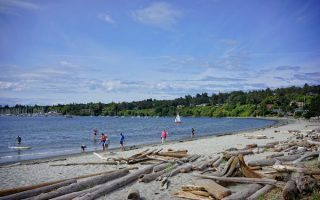 The city sits on the southern tip of Vancouver Island, with the Strait of Juan de Fuca and the Olympic range to the south, and the Haro Strait to the east. 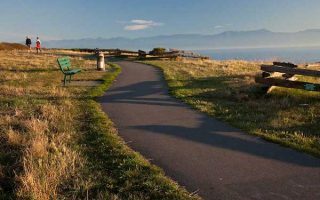 Between the waterfront, mountains, and famous gardens, there is great variety for running in Victoria. In central Victoria, you can put together wonderful standalone runs or combine three waterfront trails — Dallas Road, Songhees Walkway, and the Inner Harbour — with a ‘runseeing’ tour of the city. 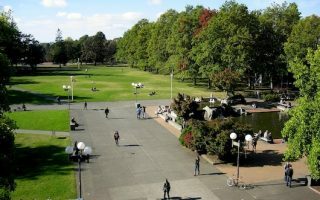 Slightly to the north, we love running around the “UVic” campus, the 10k perimeter path around Elk Lake/Beaver Lake, and the Cordova Bay neighborhood. 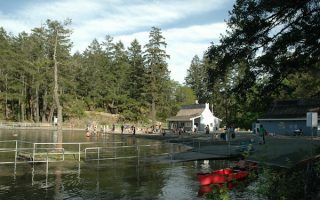 For hills and trails, seek out Mount Douglas Park (with a summit road closed to vehicles before noon), and Thetis Lake Regional Park. All of our routes are in central Victoria or can be accessed by car or the city’s excellent bus system. We recommend trying to stay in central Victoria in order to be close to great waterfront running. 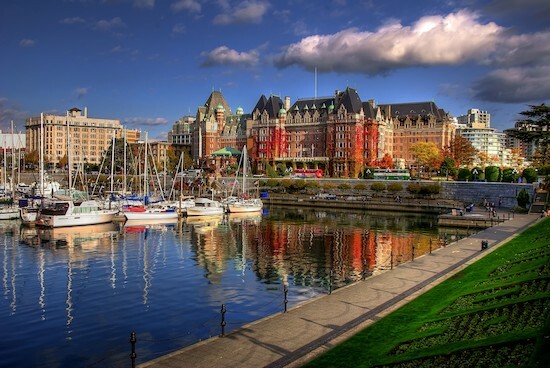 Victoria Spectacular: Inner Harbour, ‘Runseeing’, Waterfront! 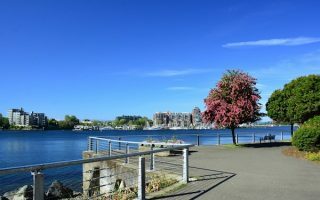 Our 'runseeing' tour of the BC's capital features the city's most important sites, a scenic stretch along the Inner Harbour, Beacon Hill Park, and the Shoreline Trail. We've mapped a longer, 12.5 km option, or a shorter 8.8 km option. One of the signature runs in Victoria. Beautiful waterfront running, with views to the water and the Olympic Mountains. Pass the Mile Zero Monument of the "T-CAN", beaches, points, parks. 5.9 km whole road, 4 km dedicated path. Scenic waterfront running north from Victoria, along the Haro Strait. Mainly along Beach Drive for up to 11 km, with water views, great homes, pretty neighborhoods. We've mapped the entire route, with recommended sections & distances. The largest park in central Victoria, featuring featuring paths, sports fields, ponds. Great as a standalone 3-4 km run, or in combination with other routes in the area. For some some hills, running up to the flagpole is popular. Also known as the West Bay Wallway, this is one of the most pleasant places in Victoria for a run. Great views of the Strait and the Olympics. 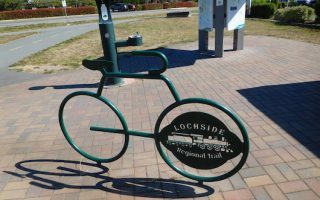 It's 6 km out and back, or a 9 km loop option including a section of the Galloping Goose Trail. About 10 km north of Victoria, the 10 km loop around the perimeter of Elk and Beaver Lakes is a running pleasure. The gravel path is generally wooded, with water views along some sections. 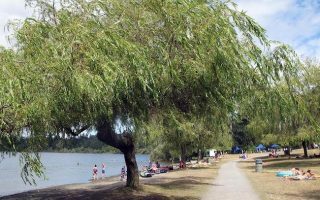 Cordova Bay neighborhood is a nice add-on. One of the prettiest college campuses in Canada and great for running. Enjoy the ~4 km Alumni Chip trail and combine with a campus 'runseeing' tour. For a fun challenge, add the 1.6 km Mt. Tolmie loop, with great views from the summit. Multi-use path that runs for 29 km from Victoria to Swartz Bay. Nice combination of waterfront, farms, country lanes, and some suburban sections. We've mapped 12 km from Victoria to Mattick's Farm, the first part on the Galloping Goose Trail. Good trail and hill running opportunities in this 500-acre park north of downtown. The steep, 1.6 km road to the summit is closed to cars in the mornings! The Whittaker Trail is a 4 km perimeter loop. Nice running in nearby Cordova Bay neighborhood. Good trail running only 20 minutes from downtown. The 5 km loop around the lakes is fairly flat and not technical. There are several additional offshoot trails, which are narrower and more rugged. Victoria has some of the most pleasant weather in Canada. Summers are delightful and mile, with average high temperatures in the low 70s (22-22C) and cool evenings. Fall is gorgeous and holds on a while. Winters are mild for the latitude, and a bit warmer and drier than Vancouver. Average January high temperatures are in the low to mid 40s (3-5C), and lows staying just above freezing. It rains plenty from November-March. Significant snowfall is rare. Frontrunners and Running Room are the two main running stores in Victoria, with two locations each.